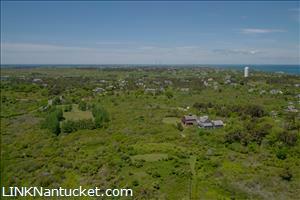 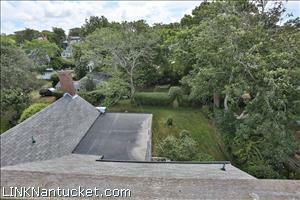 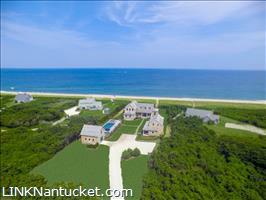 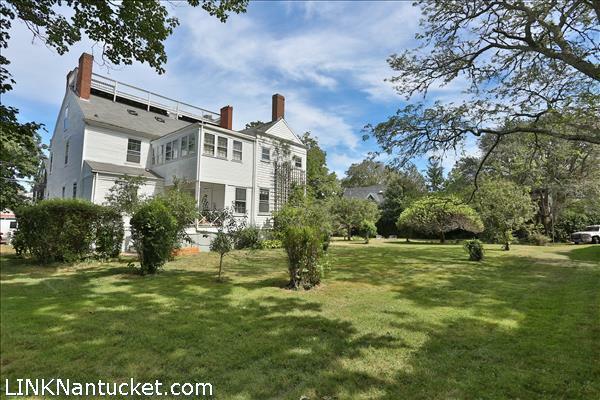 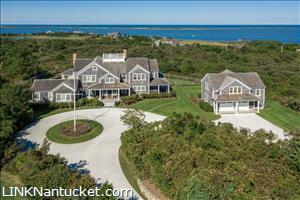 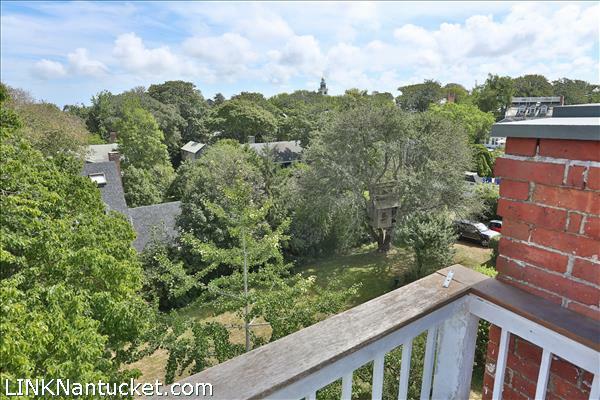 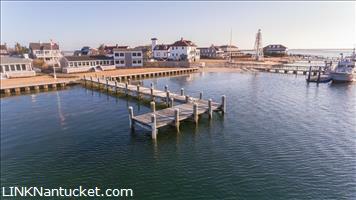 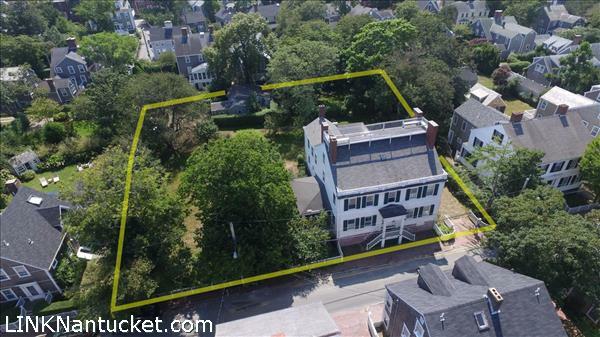 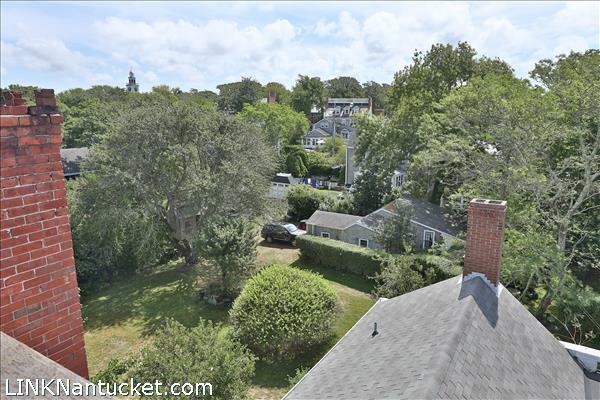 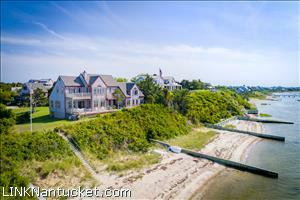 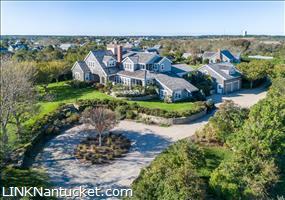 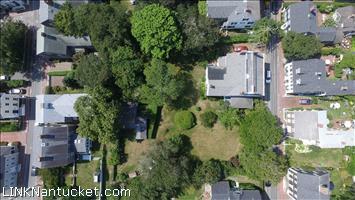 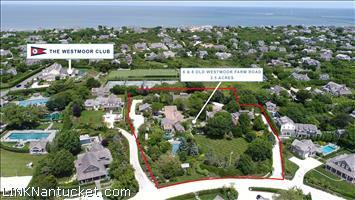 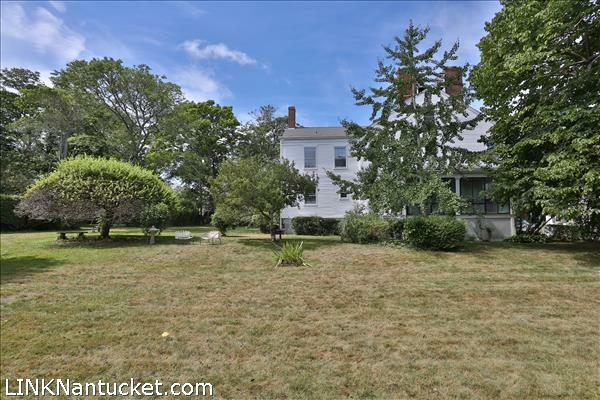 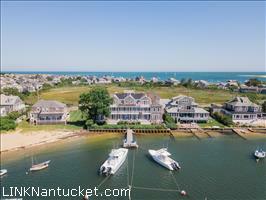 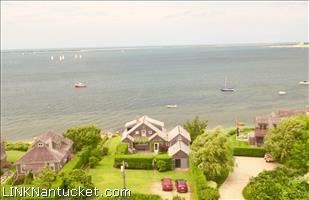 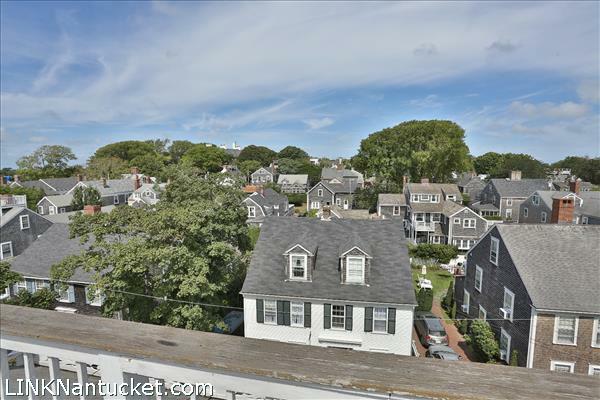 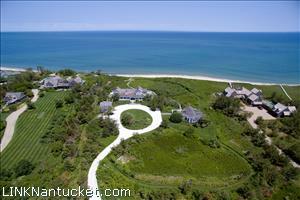 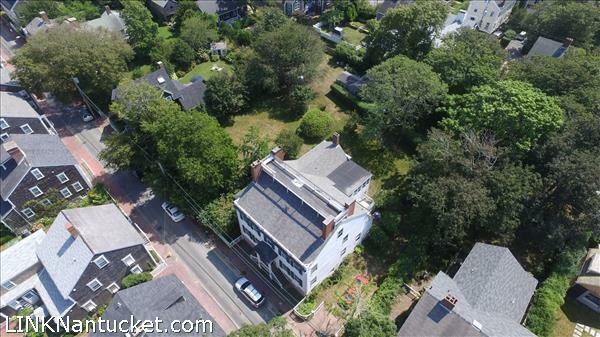 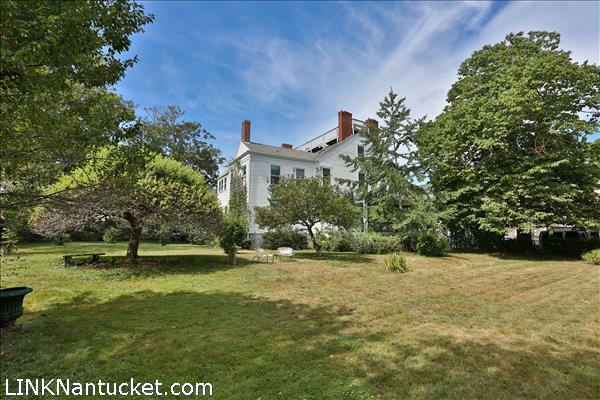 It is extraordinary that this property remains intact at 26,637 square feet, making it one of the largest parcels of land in Nantucket’s Old Historic District spanning from India Street to Rose Lane. 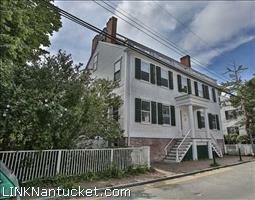 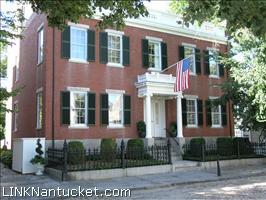 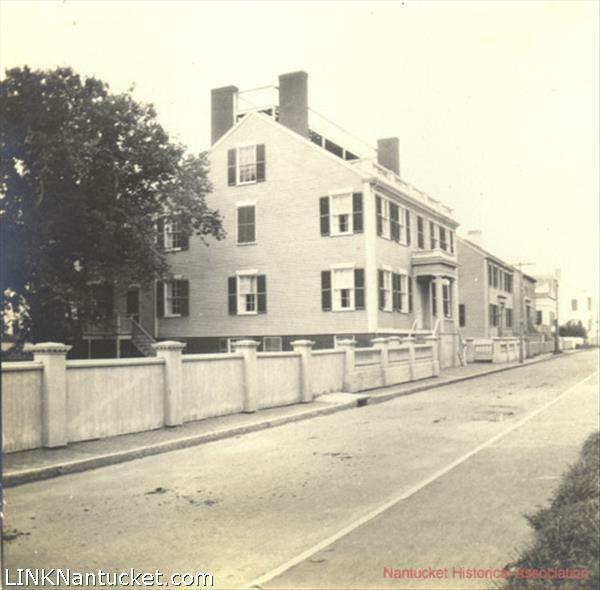 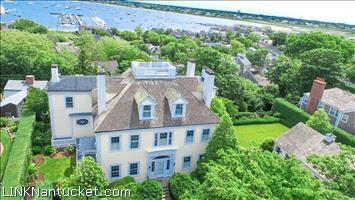 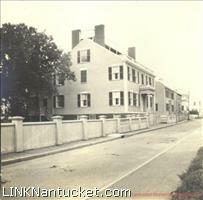 Sitting high above India Street, this elegant Georgian-style home was built for noted whaling Captain David J. Baxter in the early 1830s. 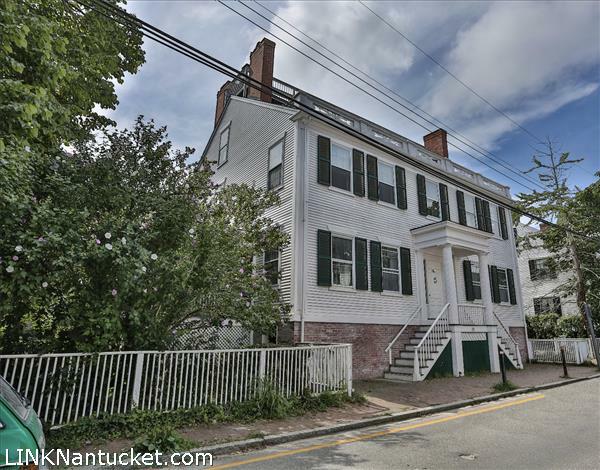 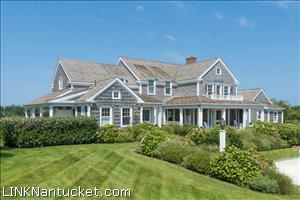 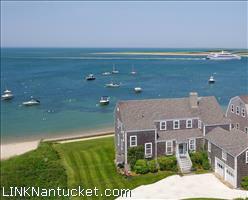 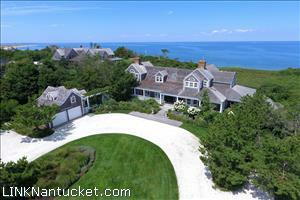 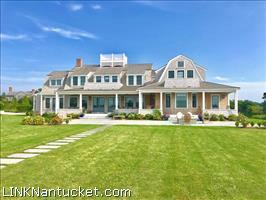 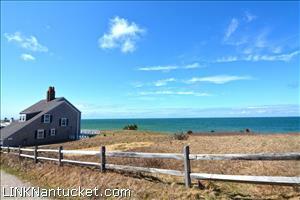 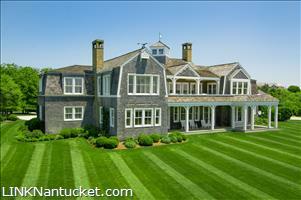 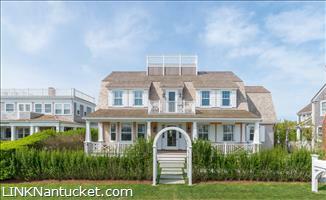 The home exudes a charm and character that evokes thoughts of Nantucket’s prosperity during the glory days of the whaling era. 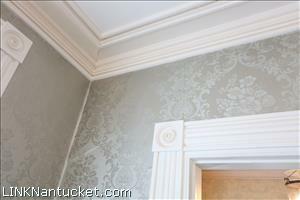 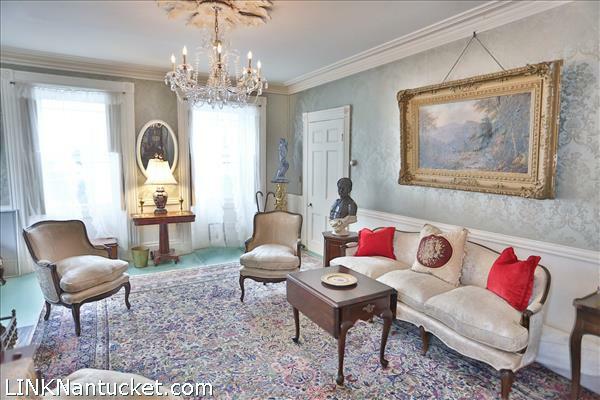 The interior boasts high ceilings, many original details and spacious rooms. 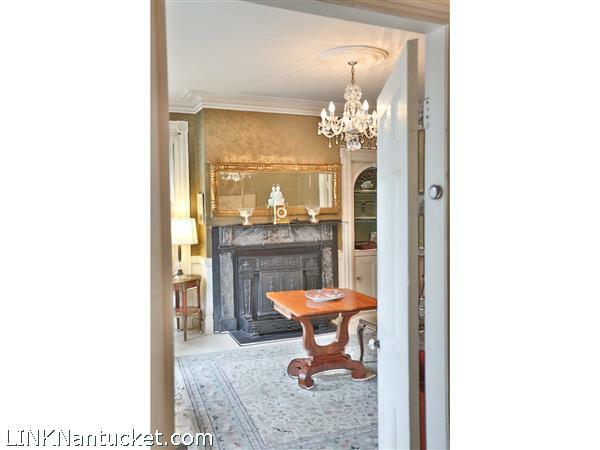 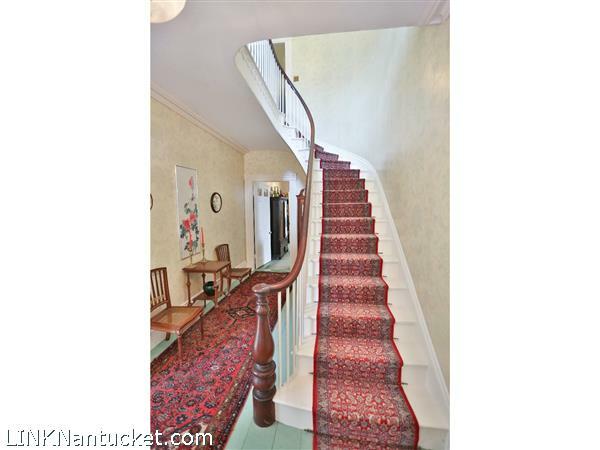 First Floor: A classic Nantucket Friendship staircase leads up to the front door of 28 India Street, which is set high above the neighboring properties. 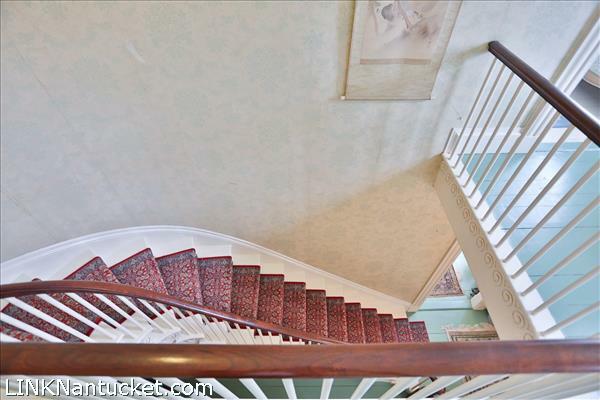 The grand entry foyer offers a dramatic curved staircase leading to the second level. 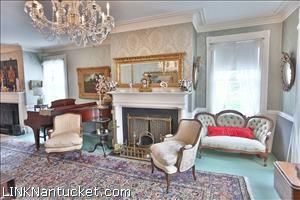 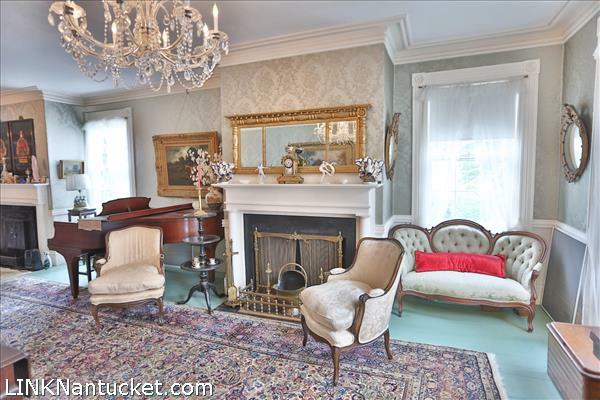 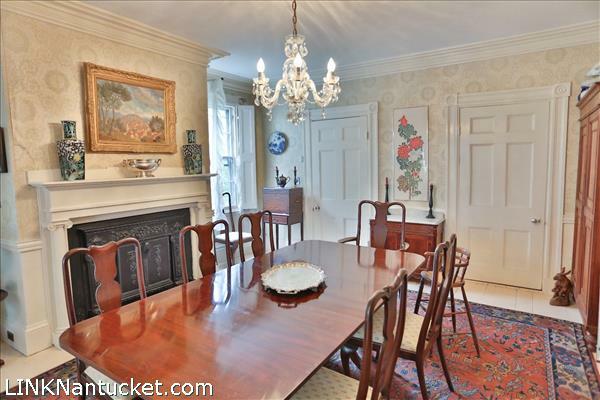 To the right sits a formal parlor that spans the majority of the house and is accented by high ceilings, original moldings and two fireplaces as well as large windows that flood the space with natural light. 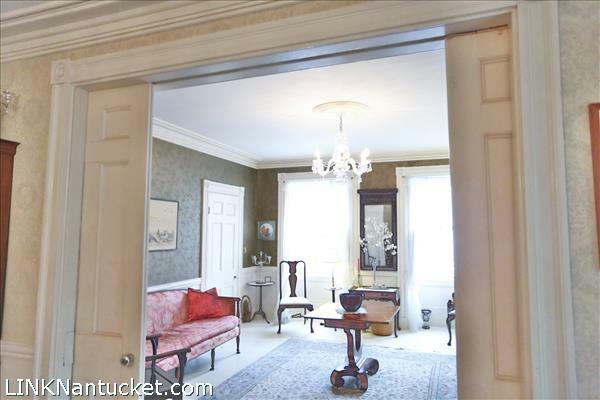 To the left of the entry-foyer is a sitting room with a fireplace that is separated from the dining room by impressive pocket doors. 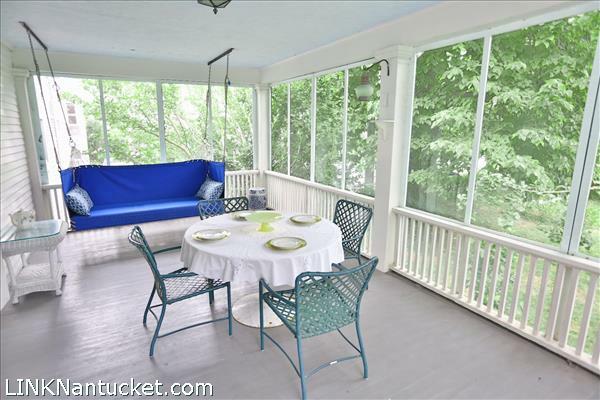 Off the dining room, are french doors that open to the large screened in porch overlooking the expansive yard. 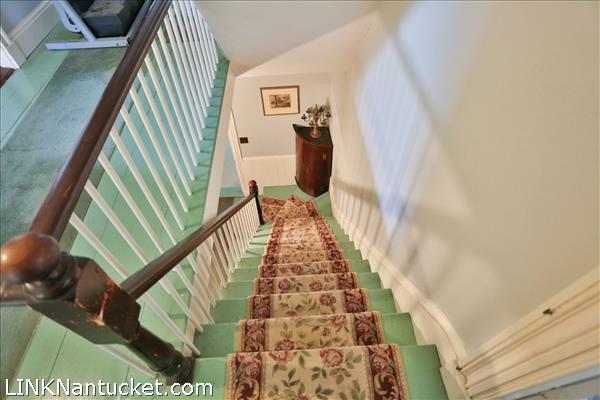 Steps lead down from the porch to the impressive grounds. 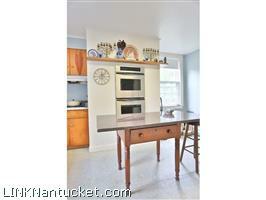 Beyond the dining is a pantry that opens into the kitchen, a laundry room and access to the back deck. 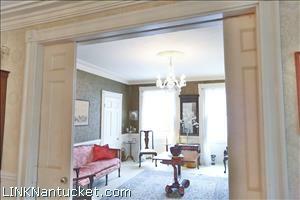 Off the center hall is an elevator and a full bath as well as access to the lower level. Second Floor: The elegant curved stairs lead to a generous landing with a large window looking down to India Street. Off the landing are four spacious bedrooms each with a fireplace. 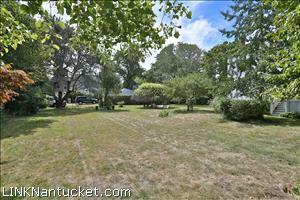 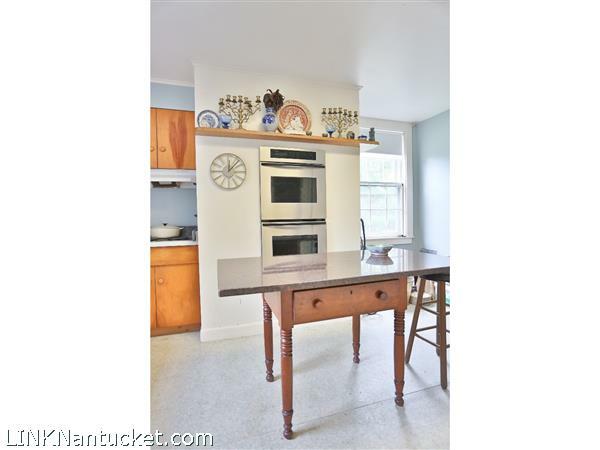 Two of these are adjoined by a full bath, and one bedroom has an attached half bath. 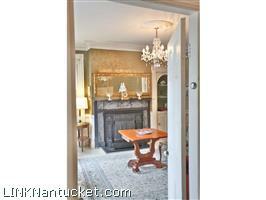 Off the rear hall is a full bath with double vanities, access to the elevator and the third floor. 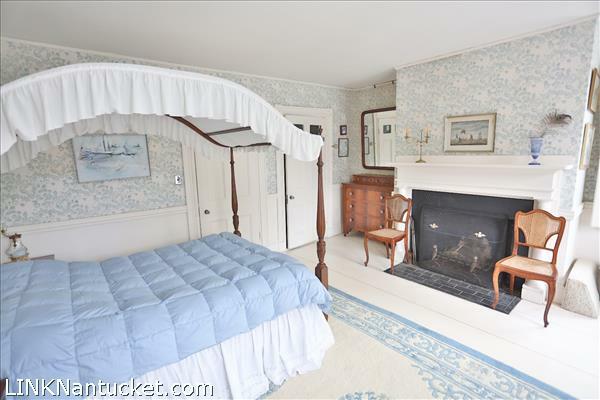 Beyond is a bedroom with fireplace. 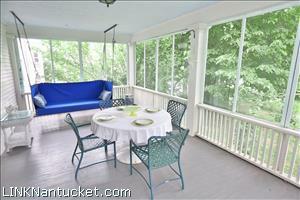 A sunroom also sits off the rear hall. Third Floor: Two spacious bedrooms share a hall bath. Off one of the bedrooms a staircase leads up to an expansive roof walk that spans the width of the house. 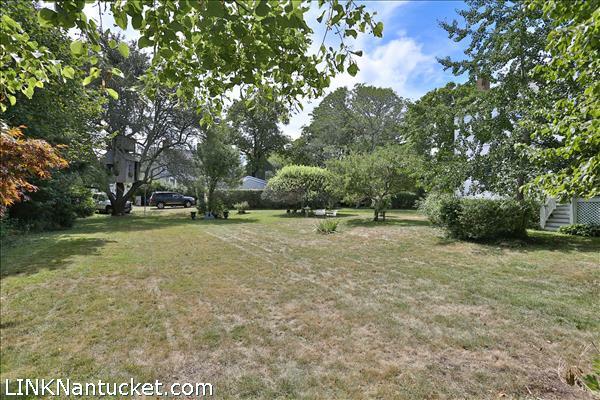 Second Dwelling: Tucked in at the back of the property, at the end of Rose Lane, is a one bedroom apartment with small sitting area and full bath which is attached to a large storage shed and two car garage.